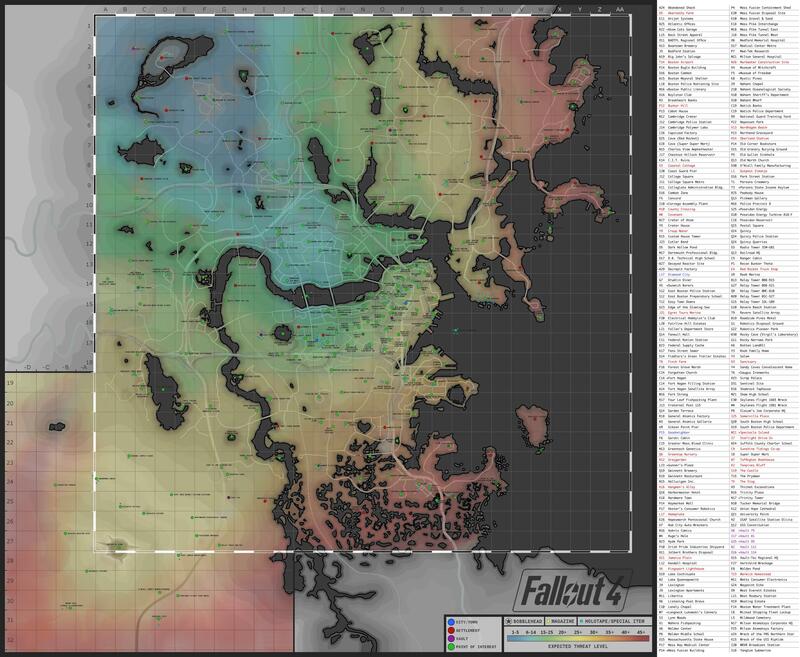 The map above is a Fallout 4 map that shows you ever location in the Commonwealth. With this map you can find all the settlements, vaults, towns and various points of interest. This map also shows where the bobbleheads, magazines and holotapes are located. Click the Fallout 4 map above to view the full printable version. This website was originally created to personally keep track of when Fallout 4 came out. To keep the site alive feel free to share it with friends and fellow gamers! Made with and recycled pixels by a "Fallout 4" fan.